Any changes in domestic petrol and diesel prices are effected at the fuel stations by oil marketing companies at 6 am every day. Petrol and diesel prices are currently reviewed on a daily basis, and any changes are effected at the fuel stations by oil marketing companies at 6 am every day. 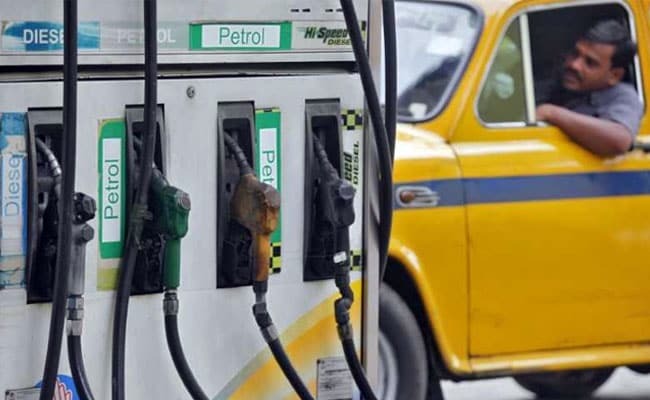 The domestic prices of petrol and diesel are determined broadly by the rates of crude oil overseas and rupee-dollar in the forex market. The rates vary from city to city, and pump to pump, depending on local taxes and transportation cost. Indian Oil Corporation, the country's largest fuel retailer, provides an SMS-based service to the consumers, which enables them to receive information on the day's prices on the mobile phone. "To get the indicative prices of Petrol/Diesel in your city/town for the day, kindly SMS 'RSP Dealer Code of Petrol Pump' to 9224992249... For example, SMS 'RSP 102072' to 9224992249 for petrol and diesel prices in Delhi," Indian Oil explains on its website.